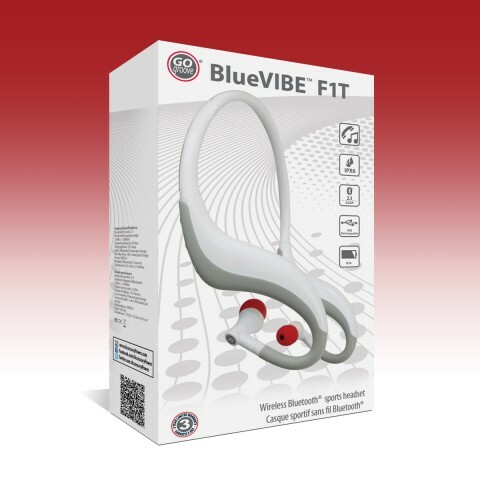 BlueVIBE F1T is designed to provide comfort, durability & style to your audio experience. 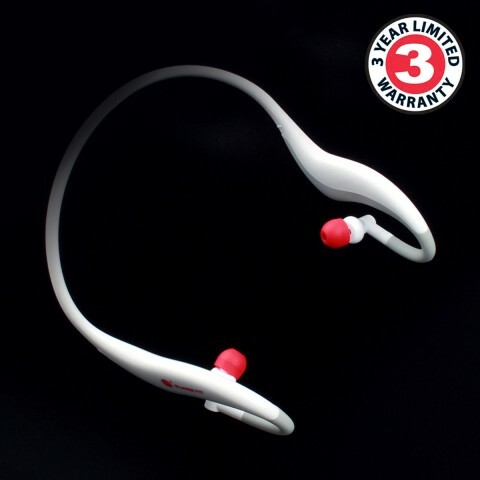 At just 1 oz, this headset's extremely lightweight wrap-around design is so comfortable, you may forget it's there! 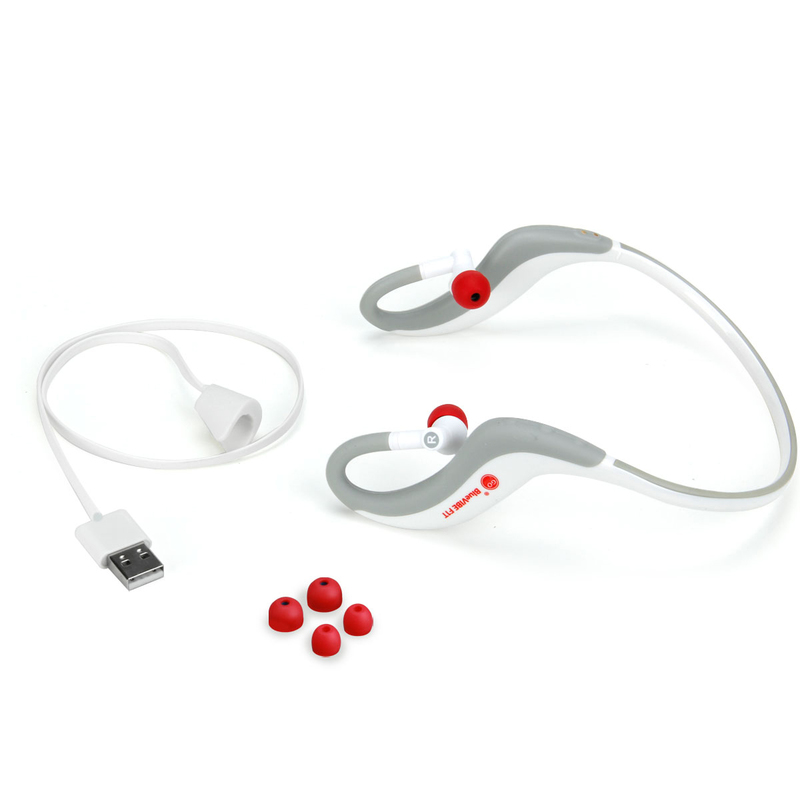 Perfect for an active lifestyle, it's IPX 6 Water-Resistant Certified to keep your headset protected from sweat & moisture at all times. 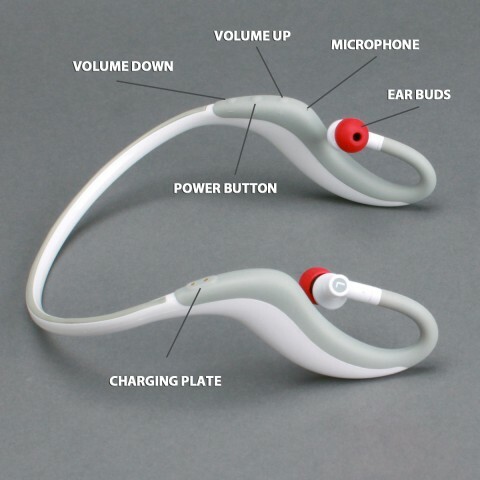 The ergonomic design combines with adjustable earpieces & 3 sizes of earbuds to allow a customized fit for anyone! 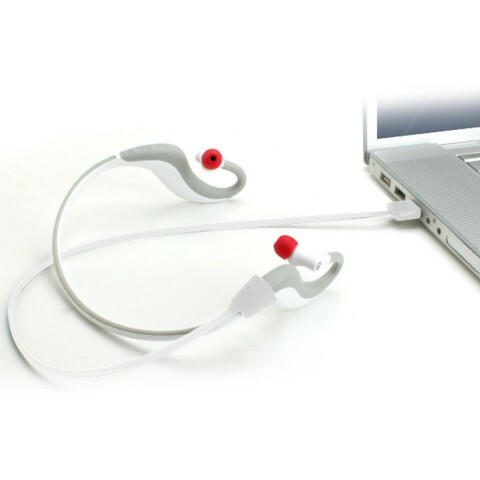 The solution to audio excellence without the burden of wires is here! 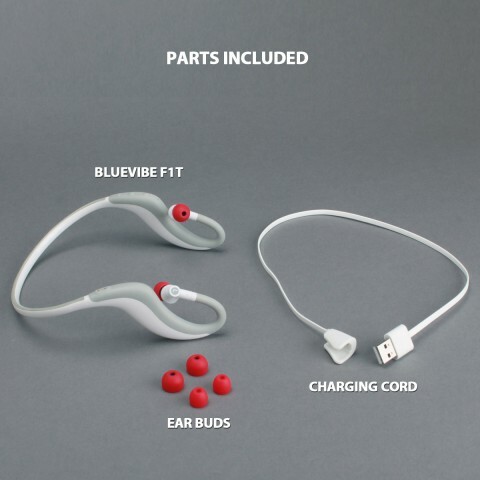 Featuring Bluetooth V2.1 technology & built-in mic, this sports & fitness headset allows wireless music streaming and handsfree calling on-the-go. 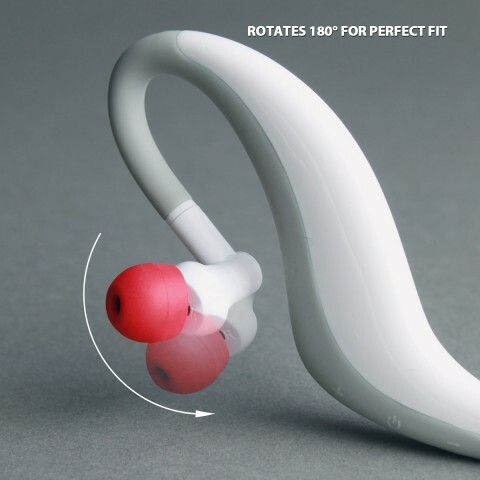 Simply pair the F1T with your Bluetooth device the first time, and automatic pairing will remember your device for future use! 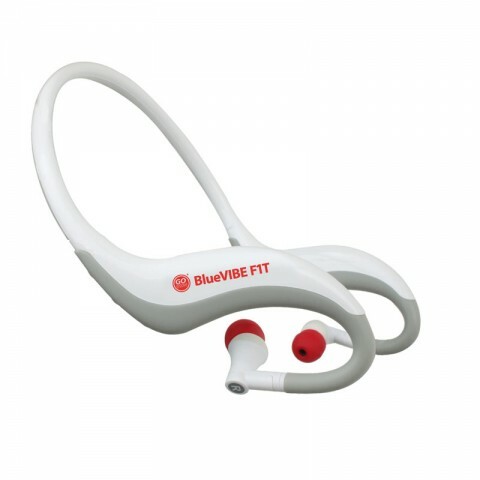 With the BlueVIBE F1T you can play, pause, skip tracks & control music volume directly from the headset. 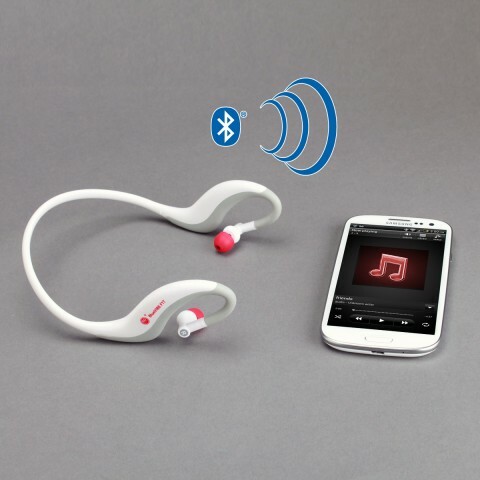 Music audio will fade out if you receive a call, allowing you to answer, end, redial or send to voicemail - all with the headset's onboard controls!